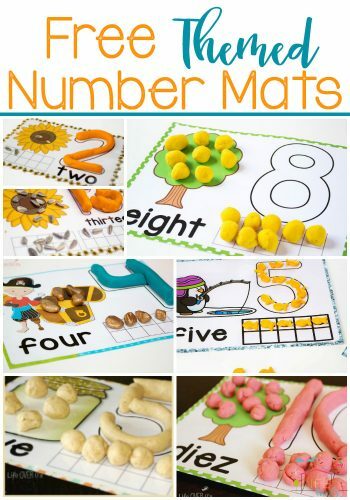 Number mats are our most loved resource! There are so many ways to use them, so each time you work with them it can be like a brand-new activity for the kids! Use play dough, mini erasers, candy, rocks (aka… pirate treasure! ), snack crackers, buttons and so many more manipulatives! 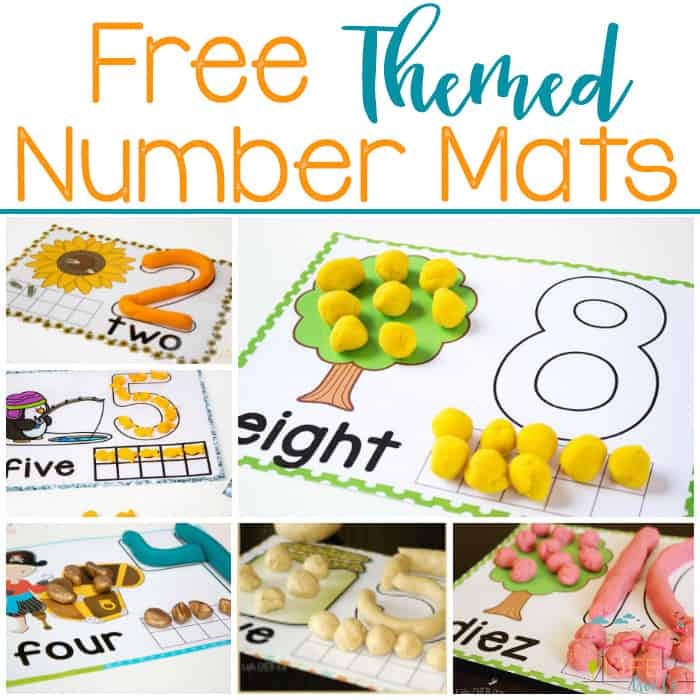 Collect all the themes of these hands-on number mats for 1-10 and 11-20. Check back often as new themes are added regularly! Each of these mats provide the opportunity to work on fine motor skills, one-to-one correspondence, tracing, and reading. They are also great for visualizing addition problems within the ten-frames. Use them as an introduction to fact families or to show the many ways to add up to a number.